Do you make a list of everything you'll need before packing for a holiday? What type of travel packer are you? 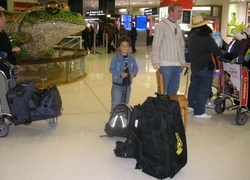 How do you prepare for travelling with children?